Books for children are lots of fun, aren’t they? They serve as a means of learning about some serious topics in a comical and entertaining fashion, which is one of the best ways of working with kids. 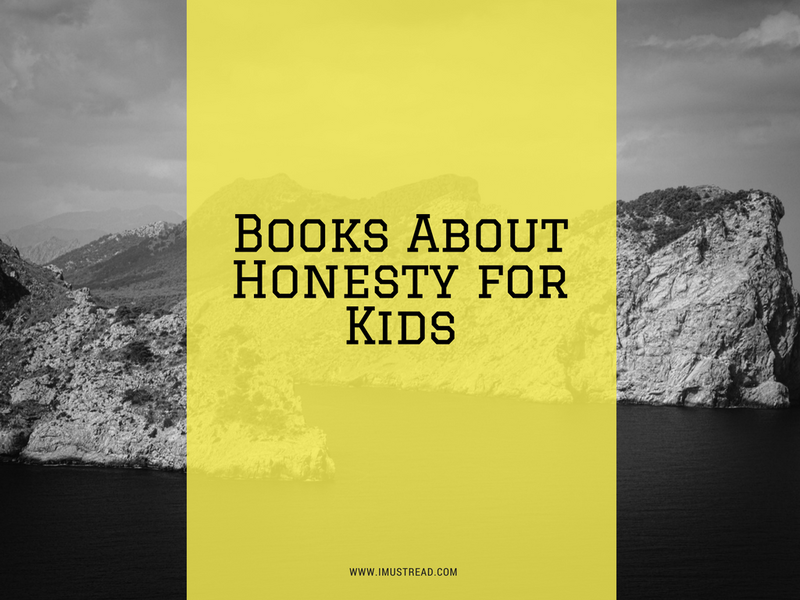 According to psychologists, books can be used to teach kids honesty to show the real implications of lying to others. One way to teach your children morality is to make up stories, but if you don’t feel up to the imagination challenge, there are lots of books that can be used for this purpose. Here is the list of the best books that will teach kids honesty with a little bit of fun. Enjoy! This is a part of an awesome Betty Bonny series designed for teaching the kids many positive virtues and helping the parents turn their children into great persons. The book describes one interesting incident: this time, Betty Bunny broke a lamp and claimed that was not her fault. When asked who was responsible for breaking the fire, she said that it was the Tooth Fairy. The first lie of Betty Bunny causes a myriad of complex experiences for her, and she eventually learns that telling the truth is the right thing to do. Another cute book for kids that allows them to explore the importance truth to avoid all the possible difficulties. It describes the story of a dog named Sam who moves into a new neighborhood and starts going to the new school where nobody knows him. To make an excellent first impression and make a lot of friends quickly, Sam tells everybody his father is an astronaut who has been to space and has told him many stories about how amazing and beautiful it is. While the plan works, the friends need to know more about Sam, and he allows the lie to grow by telling all those other stories. Sam thought it was a good idea to lie to the parents as well and eventually he was so caught in his lies that he decided not to do it ever again. This book written by Marie Bender was drafted in the early 2000s, but it is still considered as one of the best children books about the importance of honesty. Instead of making up stories, the author uses a direct instruction approach and uses a series of images where she explains the benefits of being honest and shortcomings associated with lies. Also, the book teaches the children about possible consequences of telling people lies and gives them a list of excellent reasons why it is better, to be honest. If you are looking for a perfect combination of illustrations and textual material, this book is definitely for you. It uses amazing images to help to understand the essence of the story that has a simple but yet very profound meaning for the children. In this yet another narrative about the adventures of B.B. Wolf, the author tells about his visit to the local library where he should inform the tale of “The Three Little Pigs.” However, he fails to do this because he changes the facts, which is quickly recognized by the audience that also consists of various characters from children's books. By the end of the story, the audience starts to ask the narrator to tell them the truth, and he becomes so caught in his lies that he screams for forgiveness and tells the real version of the story. A simple story in this book provides a powerful motivation, to tell the truth: Mama Bear had a favorite lamp, but it was broken by Sister Bear and Brother Bear, who did not tell her about it. Eventually, Mama Bear helps her children to tell her what happened in a positive way and they feel very proud about coming up with the truth because the mother did not punish them. The main character of the book, Katie Woo, liked a toy that the other kid was playing and took it without telling anyone. When asked where she got the toy, she lied, but eventually she felt so bad about it that decided to confess. The book uses a conventional “honesty story” that has been considered as the best way to teach children about the virtue. Kathryn Kyle’s book is a practical guide to different situations that show the little reader the importance of being honest to avoid many negative consequences. It, therefore, uses a practical approach and even provides the suggestions about how to show that you are an honest person to others. This one is also a part of the series, so check out other ones about Sharing, Respect, and Fairness as well. This option is ideal for a direct approach as well because it provides clear and easy-to-understand definitions of stealing, lying, truth, and integrity for kids. It is also well-illustrated and shows how great it is to live with integrity and what benefits it can bring every day. The material is well-structured, so you get a little curriculum about honesty with this one. Little Ruthie has an incredible day: she found a camera on the playground and decided to tell everybody that it was hers. However, the fun only lasted for a couple of days because her consciousness began to convince her, to tell the truth. This is a great book because it also shows an important role of parents that encourage Ruthie to say what has been on her mind. When Harriet plays ball with her friends, she accidentally falls into a flower bed of her neighbors and runs away because she does not want to get caught. Eventually, she felt very frustrated and guilty, so decided, to tell the truth. This book is great in showing the difficulties that children can encounter when struggling to decide whether, to be honest. Scott Ragin is a passionate writer who draws the inspiration from something that really means the most to him: his readers. He loves guiding other people through their writing practice and shares his ideas as a blogger. Scott provides assignment help at Aussiessay. Feel free to contact him at Facebook.